Studio Squared is the Museum's series of informal art-making workshops aimed at making a wide range of studio practices accessible to adult audiences. Each workshop focuses on a particular theme and creative process inspired by our exhibitions and explores methods of creative production through an experiential approach. Inspired by the printmaking practices exhibited in Circa 1970, this Studio Squared invites visitors to experiment with pronto plate lithography, an immediate and effective method for producing hand-printed work. 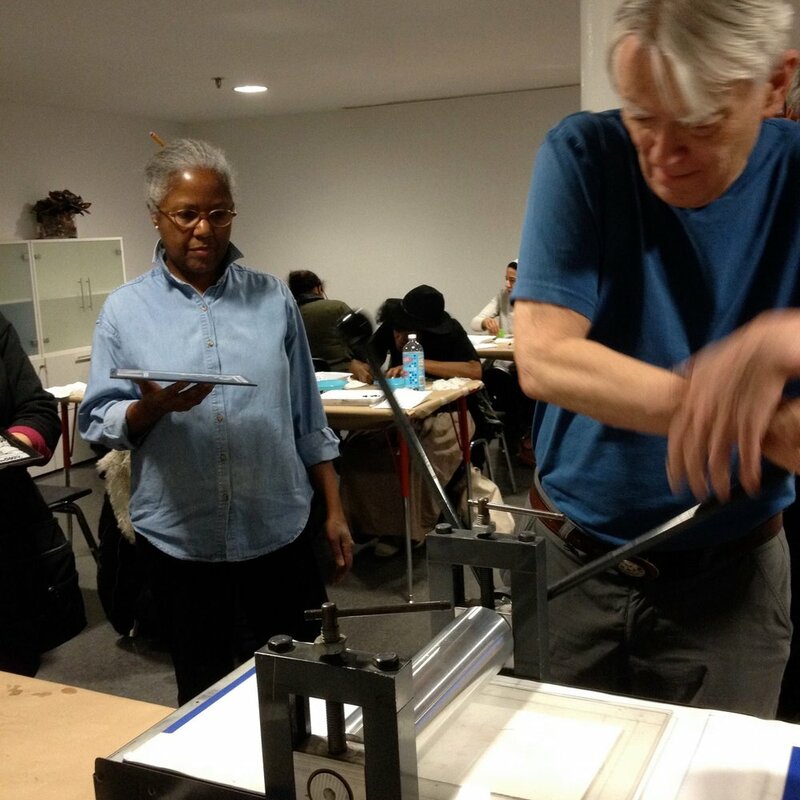 Presented in partnership with the EFA Robert Blackburn Printmaking Workshop (RBPMW), a team of skilled teaching artists will demonstrate the essential components of pronto plate lithography and guide participants through the production of their own 6" x 9" prints!